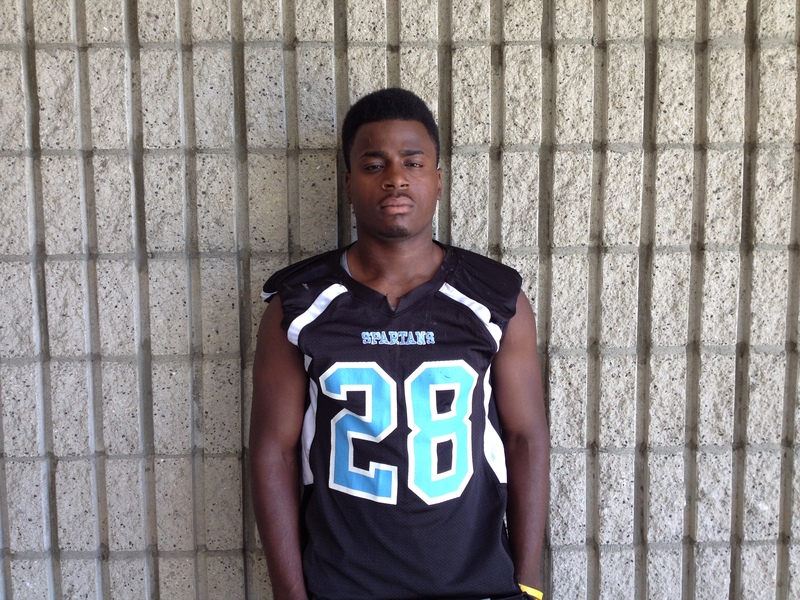 It’s better late than never for San Gorgonio linebacker/running back Wesley Hill, who committed to UTEP and is expected to sign his National Letter of Intent this week after officially getting his scholarship offer to UTEP. San Gorgonio coach Ron Gueringer said that Hill would’ve signed much earlier but did not get a qualifying test score until after National Signing Day in February. “We had some different schools go back and forth, but it was about finding the (scholarship) money. A lot of people were already filled up,” Gueringer said. Gueringer said that Fresno State, UNLV, Montana State, and Washington State were all talking to Hill, but that at this point, it’s frequently about who makes the first offer and UTEP won that battle. Hill said that UTEP first started talking to him about a month ago, but it wasn’t until Tuesday that they gave him the official word they had scholarship money for him. Gueringer said while Hill played running back and linebacker at San Gorgonio, he promoted him as a safety for college. Hill said there are several keys to staying positive while trying to be recruited late. “Keep your head up high, and have a great connection with your coach. Every time talking to a (college) coach, do it,” Hill said. This entry was posted in football, San Gorgonio High School, UTEP and tagged San Gorgonio football, UTEP, Wesley Hill by Pete Marshall. Bookmark the permalink.